All The Pretty Dresses: Za Cuteness! It burns!!!!! 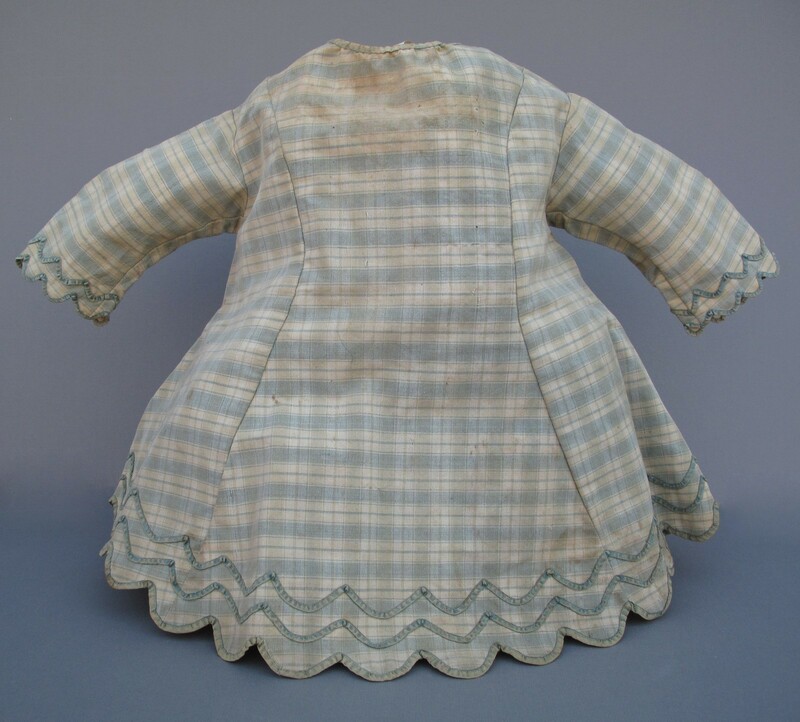 Fabulous 1860's tiny child's dress. 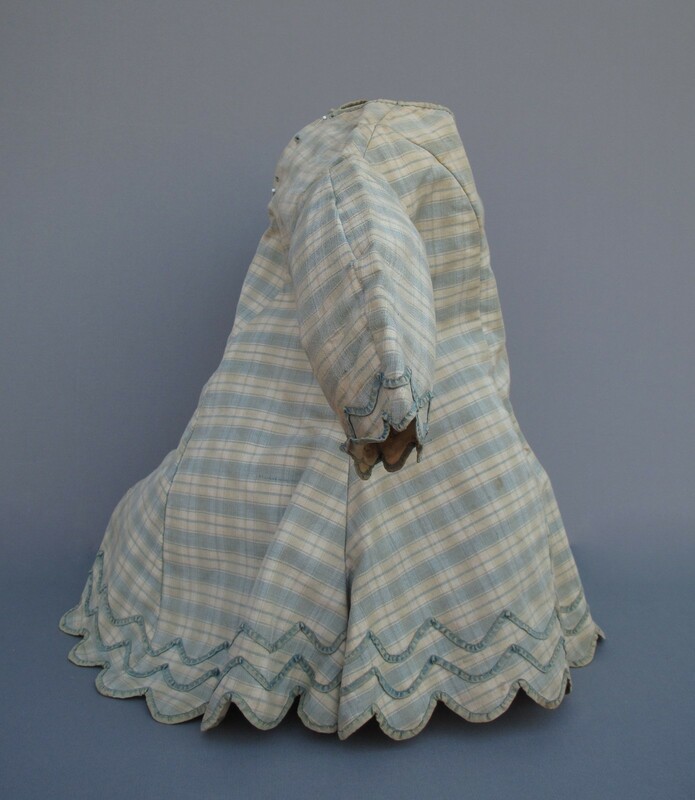 Made from pale green plaid wool and linen fabric. 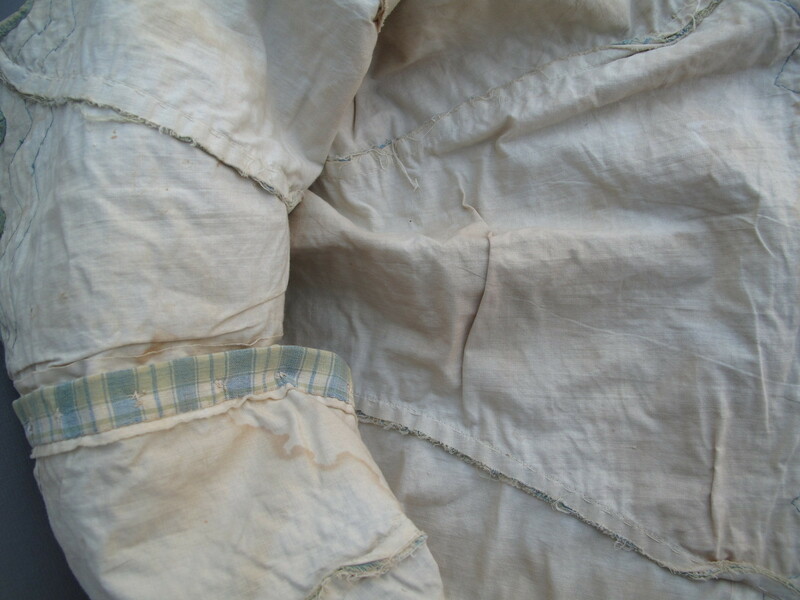 The tiniest amount of fabric was cut from the raw seam and burn tested to verify this. The stains on the front under the collar are much more muted in person. The trim on the scalloped edging appears to be velvet that has worn right through the nap. Measures 16" long and 11" across the shoulders. No buttons remain. 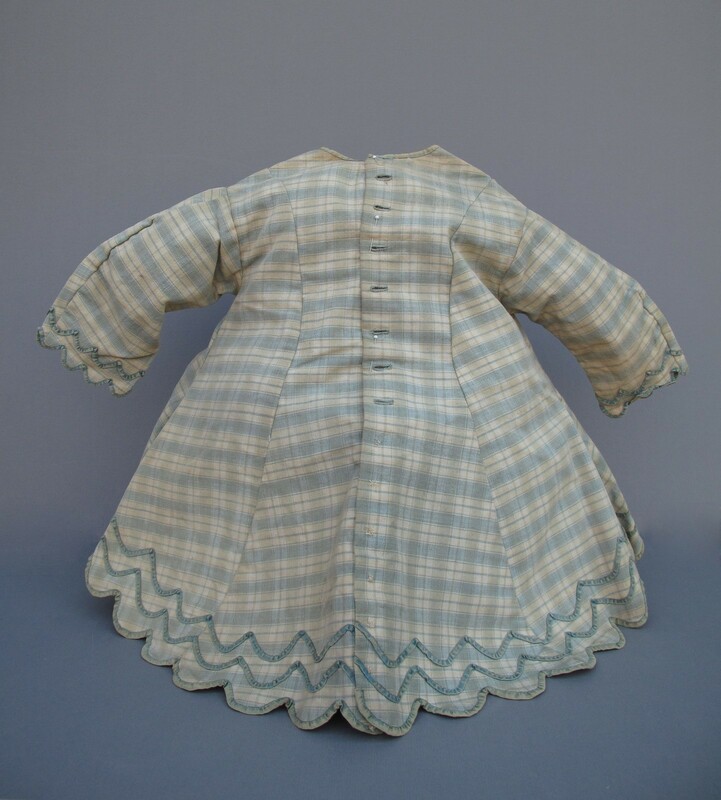 This incredible dress is in EXCELLENT antique condition. Do not miss it!!! I'm rather aghast that the seller would actually CUT an extant piece like this to fabric test it. Seriously? If you are that curious, microscopes were invented!